Oftentimes we as homeowners look to our friends and family for recommendations before taking any action, especially when it comes to high magnitude decisions. If you’re experiencing an uncomfortable home and you have been told it is the insulation or the furnace, it might be time to schedule a home energy evaluation with GeoFurnace Heating & Cooling. We aren’t your regular run-of-the-mill energy company that will just recommend whatever you want if it isn’t truly the solution. That’s why our comprehensive home energy evaluation is so valuable. We use this technique to pinpoint the exact source of your concerns so that the repairs are truly the only ones you need to get your home back! While we all want to live in the perfect home that is affordable and comfortable all year round, it may seem an impossible task. 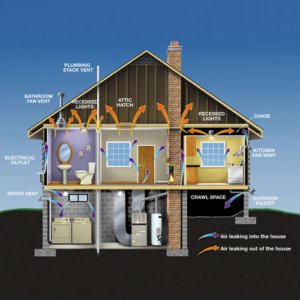 GeoFurnace Heating & Cooling’s home energy evaluation is a great way to get on your way to enjoying your home again! Each home is different, which is why we take the time to analyze and diagnose your home for its specific needs. Regardless the source of the issues, we will find them and we will fix them. You’ll be saving money on your energy bills, heating and air conditioning, and truly enjoying each room in no time! Potential savings of 5-30%* on your energy bill by making the upgrades identified. You may have heard that the state offers a home energy audit to all residents, but not all audits are comparable. Though these services should be of the same quality, everyone does it differently, and we have the know-how and experience to go the extra mile for each customer. We don’t just provide the same package to every customer- each home is different how could that really help!? 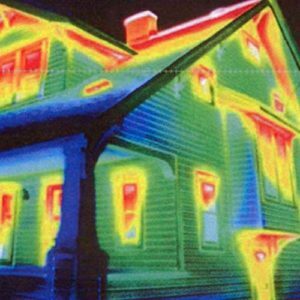 Our home energy audit, or you may also know it as an energy assessment or checkup, is very thorough. In fact, we perform several tests to rate your home’s systems, safety, and energy efficiency. We know those high impact areas of your home (the basement and attic) and we make sure to look for any leaks and areas of improvement. Next, you can anticipate a report detailing our results of where your home needs some help being more efficient or safe. This report really opens our eyes to see if the furnace really is broken or if it is the lack of insulation making your furnace overwork. Let’s talk about the results and discuss how you want to move forward. No more guesswork! We provide real results to the real problems. Contact us today to get started! Ideally homeowner should be present. Wood fire places can not be used 24 hours before assessment and has to be clean for blower door test. Access to crawl spaces, attic accesses should be cleared. 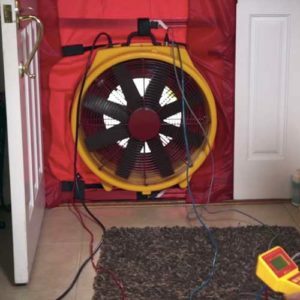 No huge holes in building structure can be present during blower door test. No big amounts of construction/ renovation dust can be present during blower door test. Specially trained BPI Certified technicians. Proposal with all possible improvements listed. Proposal for recommended upgrades and improvements.